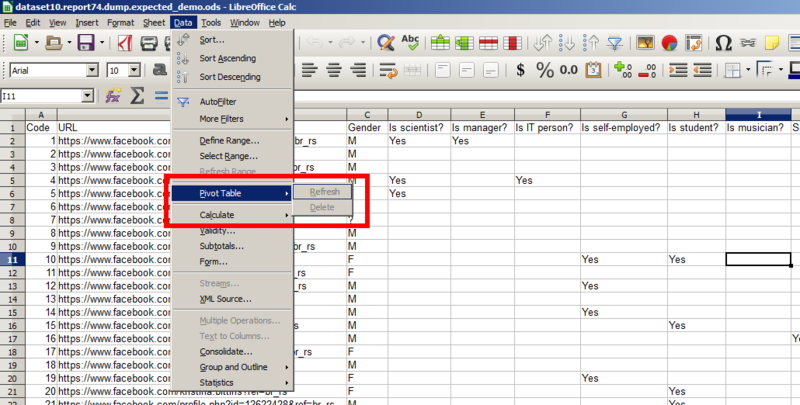 I've installed version 5.1.0.3 of LibreOffice and try to create a Pivot table in Calc. It used to work in an earlier (4.x) version. But now, I don't see the Create menu item in the respective menu (see screenshots below). What can I do in order for the "Data -> Pivot table -> Create" menu item to become visible and enabled? The main menus in Writer, Calc and Impress were reorganized to improve usability, group similar functions together, add functions that were not present and sorting items based on their usage and importance. Thanks a lot. 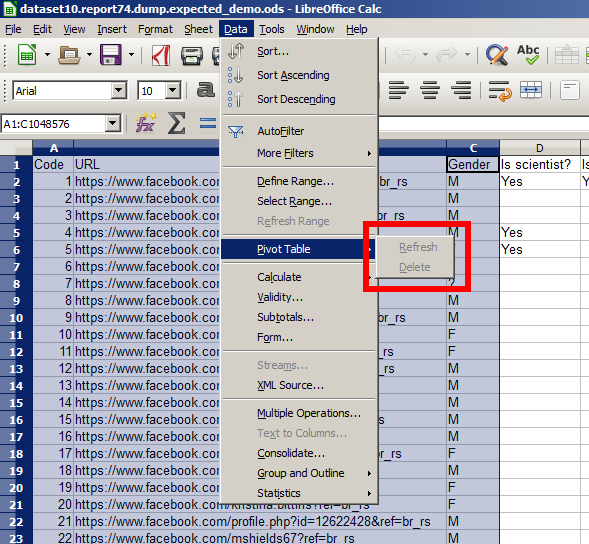 Wondering why there is still Pivot table under Data tab though.